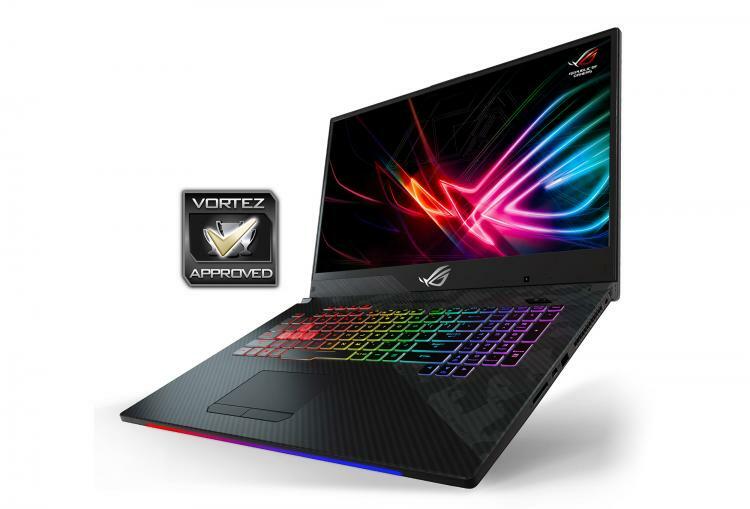 The ASUS ROG Strix SCAR II is a fine example of a good gaming laptop. It may have some minor flaws but for the most part, we’ve been impressed by what the ROG team has presented in this unit. Beginning with the design, SCAR II adopts a stylish livery which boats a gunmetal texture. Those wanting a good smattering of RGB will not be disappointed as there is designated lighting on the lid, keyboard and front edge – all of which uses Aura Sync and can be synchronised with other devices. Within there is plenty of good hardware included, the basis for this configuration is Intel’s 8th Generation of Core i7-processors, the 8750H. This six-core, twelve thread CPU offers a great foundation for any mobile system and when its paired up with 16GB DDR4 and the beloved RTX 2060 we have the ideal combo for a powerful machine. SCAR II will have no problems in delivering competent 3D performance thanks to the hardware and we found it handled games very well – capable of serving up in excess of 60fps when each game is maxed out at 1080p. It isn’t often you get a 144Hz IPS panel on a gaming laptop but it completely transforms the mobile gaming experience in a rather significant way. Motion is fluid, smooth and satisfying. There are a few niggles, which can probably be overlooked – CPU temperatures climb up to the 90s and when they do, the cooling fans inside SCAR II ramp up considerably, emitting quite a bit of noise. We also found the placement of the webcam rather odd and something which ASUS should work to adjust next time round. SCAR II is a delightful gaming laptop which is capable of offering solid gaming performance.